Halong Bay is one of the most breathtaking natural landmarks in Vietnam. This weekend break is the best way to explore this beautiful destination. Halong Bay is located 180 Km east of Hanoi. 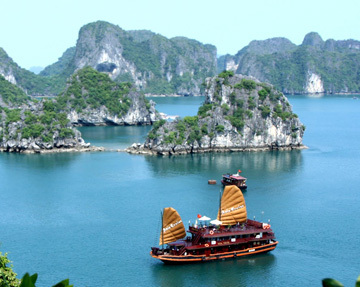 Day trip to Halong Bay gives you an opportunity to have a great experience. 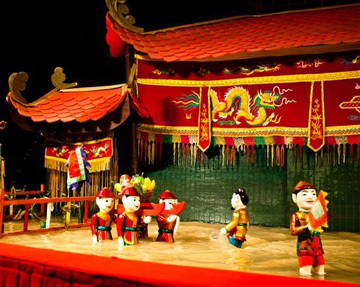 The tour also comes with famous water puppet show in Hanoi. Visit to Halong Bay with local lunch and boat services. As you arrive at Noi-Boi airport at Hanoi, our representative would meet you at the airport and transfer you to Halong. En route there will be a stop at Dong Trieu to visit the handicraft workshop. Upon arrival at Halong, check in at the hotel. Overnight stay in Halong. Accommodation as mentioned in itinerary. Transfers as mentioned in itinerary by private vehicle. Motorboat charges/tickets as mentioned in itinerary. Services of English speaking tour guide during sightseeing.